Compliance training. Eye roll. Even the name says, “You have no choice.” Nothing too inspiring about that, is there? The neglected stepchild of a tiresome genre, compliance training also has a bad rep for relying too much on the most threadbare e-learning tropes: bulleted lists of legalese, locked navigation, laughably obvious quiz questions, and very little, if any, interaction. This happens for many reasons—most often, because organizations are just too focused on “refreshing” knowledge or “informing” learners, rather than changing their behavior and supporting their performance. Whatever the reasons, the resulting emphasis on acquiring and retaining information is the perfect setup for an uninspiring, click-next, check-the-box e-learning course. The tone of compliance training is often pedantic—you can almost picture the finger-wagging lecturer. And while that tone may be cool with your regulators or legal team, it’s usually not welcomed by learners! More so, it’s not very likely to influence their behavior. After all, if we could change people’s behavior just by lecturing them, we’d all be perfectly trim, with no cavities, and have spotless homes and flawless driving records! People are more likely to change their behavior when the information they’re receiving is relatable, tangible, and personal. One of the standard techniques we see in a lot of compliance training is the use of “shock and awe” statistics. These are often big-picture costs or serious consequences of a failure to comply with laws or regulations. The problem with framing loss at the company-wide level is that, while the losses may be big, the impacts of those losses are too abstract for most people to appreciate. However, reframing company-wide losses in terms of the devastating personal and financial impacts for a single person who’s been injured in an avoidable workplace accident is more relatable. Suddenly, you've made that information more personally significant and emotionally resonant. People are profoundly influenced by social norms. Social norms are the rules of conduct considered acceptable in a particular group—the unwritten rules and expectations about how to behave. For example, most of us would say we expect our co-workers to treat each other fairly and respectfully, regardless of that person’s gender or ethnicity. And yet, workplace harassment happens all the time. So, rather than focus on scenarios showing people not conforming to social norms, consider designing a workplace harassment training program. For instance, think about ways to highlight real people in the audience’s environment who model the desired behaviors—people who set expectations about the social norms in their environment. Share some captivating true stories about how people in that environment are actively working to build their awareness of equality and overcome bias. I’ve just highlighted two of the many social science findings we can learn from, but if you’re interested in hearing more about this fascinating topic, I highly recommend this great TEDxCSU talk from Jeni Cross. As I’ve been saying, compliance topics often have a strong behavioral component. Changing behaviors therefore may require realistic situations and authentic portrayals. Authenticity helps people to buy into what you’re saying. And what better way to get folks engaging, thinking, and doing than through realistic scenarios peppered with believable characters? Strive for realistic settings and situations. If you’re going for realism, nothing makes characters come alive more than placing them in a realistic environment where they grapple with real-life circumstances. If you’re not sure how to keep it real, talk to the target audience. They can often give you real-world examples of situations they’ve encountered, which, in turn, can help you add the fine details that will make your characters’ settings and circumstances ring true. Physical appearance of characters matters. Characters should look like people your audience might actually encounter in their work environment. That may mean featuring someone who doesn’t necessarily look like a model, or who is wearing clothing that is more casual or donning safety gear or a specialized uniform. It may also mean casting photo characters who are a mix of ages, genders, body types, and ethnicities. One great way to make sure your characters look legit is to photograph actual employees. This approach can have a big payoff, with instant buy-in from learners when they see recognizable faces dealing with realistic scenarios in an actual workplace setting. The potential downside of this approach is that you may not have time and money for photographing busy employees—and you’ll likely need to get managerial and legal approval, too. If you’re not up for taking your own photos, another option is to use realistic photographic characters. For instance, Content Library—one of the cool new tools in Articulate 360—is an ever-growing library of photographic and illustrated characters of different ages and ethnicities, with different abilities, and sporting either work or casual wear. With dozens of characters, each with tons of different poses, and more new characters being added all the time, you’ve got a lot of creative potential right at your fingertips. Not only are Content Library characters a huge convenience, they’re also a budget-friendly option since they’re included with your Articulate 360 subscription. Write dialogue that sounds genuine. How the characters look is important, but how they sound is even more important. If you’re trying to make them believable, you need to write dialogue that sounds like something a real person would say. Develop each character’s persona before you write the dialogue. What would the character say? How would he or she say it? What’s the character’s purpose and how does it tie into the goals of the course? Read dialogue aloud. Even if you’re not recording an audio track for your characters, it helps to hear the dialogue so you can identify any bits that sound clunky or forced. Avoid using dialogue for exposition. In real life, no one marches into a room and announces his or her motivation for walking into that room. Remember to save dialogue for what it’s best at: helping to move the story or scenario forward. Introduce a little conflict. In real life, people don’t go around agreeing with each other all the time. Have characters argue or express some contrary ideas. Create a little friction to keep things feeling more honest and true to life. Jazzing up compliance training is about using your design super-powers to elevate and transform the dry source material you’re given into something that learners can really relate to and learn from. Ultimately, your goal isn’t just to get them through training; you want to help them think and act appropriately when they’re faced with a real-life compliance situation. 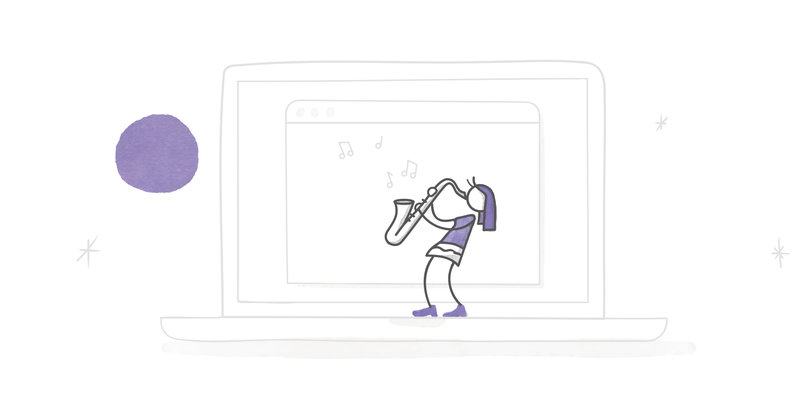 What ideas are you exploring for jazzing up compliance training? We’d love to hear all about them! Share your thoughts or experiences with other e-learning pros in our Building Better Courses forum, or post them in a comment below. We’d also love for you to follow us on Twitter, where we post the latest and greatest news about everything e-learning. Want to try something you learned here, but don't have Articulate software? Get a free 60-day trial of Articulate 360 to check out Storyline 360, Review, Content Library, and more. Also, be sure to come back to E-Learning Heroes regularly for more helpful advice on everything related to e-learning. I like these factors. They very much sound like rules for fiction writing, which makes sense if you think that eLearning is a story. How you tell the story is just as important as what it's about. Thanks for sharing! Thanks for taking the time to read and comment, Refugio. I think you've nailed it: telling the story is important. And I do think there's a lot of great information we can apply from other fields—especially from novelists, filmmakers, and other creatives. Yes, exactly. Training, especially compliance doesn't have to stick just to facts. There's a story in everything! The more we make training relatable to learners the better we're able to help us achieve our objectives while helping our learners relax and maybe have fun. Thanks for taking the time to develop and write this article. It certainly has caused me to think. AGAIN. I have tried to discuss real life situations with those who simulate the audiences and used the feedback and language they use as well as the challenges they present to include in the training scripts I have used to create both real situations as examples and real language that the audience can relate to. Regardless, it is always hard to engage all people. What I might try in future is to provide optional pathways - answer one way and jump to one module with information more targeted to the views expressed, answer another way and jump to a different module with different information but the same objective to tailor the presentation to particular influences. Thanks for sharing your experiences, Ian. I think you've got the right idea with letting users experience the consequences of their choices. That approach certainly takes scenario-based learning to the next level. I feel your pain, David. One thing to try might be some A/B testing with a small group of learners. Publish out one lesson from your "funky" course design along with a one or two quiz questions and then publish out that exact same lesson and quiz questions in the traditional format. Ask your test learners to complete each lesson & quiz and share their feedback on the learning experience via a short survey. Share the results with your stakeholders/reviewers/decision-makers and see if you can make a results-based business case for trying something new!